Existing developers like Drever Capital Management and Bridgewood Property Company have developed a less-expensive senior housing option in major markets like Austin and Atlanta. Among development companies, there are few actively targeting the void for middle-market senior housing by offering a “light” version of the existing model. This off-price housing looks and feels a lot like the high-end senior housing that runs about $3,600 per month on average, but is offered at 10% to 20% less by controlling development costs and operating costs. For some, the model has worked well, but developers agree that controlling costs to the extent needed in order to offer the product widely is a great challenge. 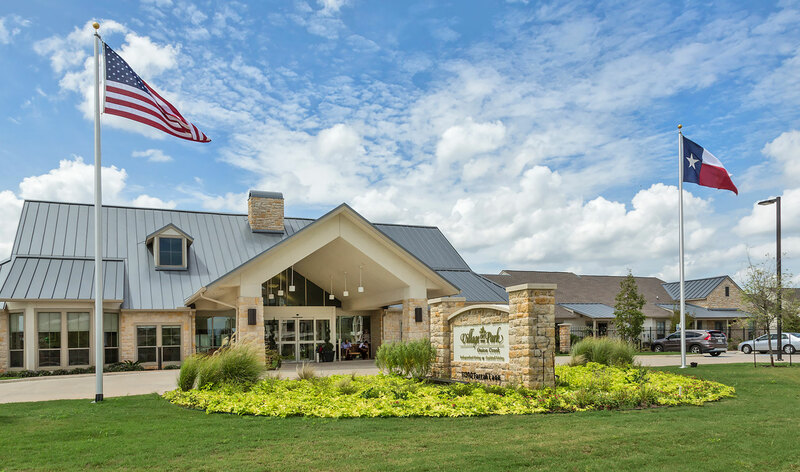 Houston-based Bridgewood Property Company recently completed its first lower-cost senior living community, located in the greater Austin, Texas, area. The company has three additional projects of this type in various stages of development—with success so far in its completed community—as well as numerous high-end developments completed and in progress in the sector. Monthly rents for consumers in the off-price communities are roughly $1,000 to $1,500 less than for the developer’s high-end urban properties. A focus on independent living may be one key to success. The community has 80 independent living units, 24 assisted living units and 22 cottages, all on nine acres in greater Austin, Texas. The company has reduced construction and operating costs by roughly 20% in a variety of ways, Gray says. “We find there’s a lot of space not utilized except for two hours per day,” Gray says of the traditional model. Capitalizing on that finding can help reduce the building footprint by 20% across common areas, he says. The initial success of the property already developed will serve as a prototype for the middle-market program going forward—in which there are several communities in various stages of development.